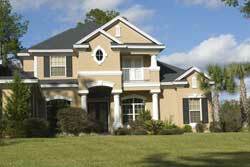 Julington Creek is a community in the larger community of St. Johns, St. Johns County. It consists of several large neighborhoods, and is located along Race Track Road east of State Road 13, across from Fruit Cove. Julington Creek is served by some of the highest ranked schools in Florida. St. Johns County schools have recently received an average state government grade of "A" for their work with the students and FCAT grading.